Yes. Here's Lima, reviewing an eyeshadow she bought for just £2.50. Why? Because this is beauty blogging, folks. I've got my fair share of red eyeshadows, coming in many different varieties, tucked away in various different corners, of various different makeup drawers and I love them, I love them all I really do. But the thing about being a beauty blogger is you always want more. My collection of reds was missing something, and I asked Twitter - or at least my carefully constructed corner of Twitter - to help me find what I've been looking for. What did I want? Something shiny. Believe it or not, until just a few short weeks ago I did not possess any kind of shiny or metallic red eyeshadow. It's true, and tragic. A couple of you suggested Sugarpill's Asylum loose eyeshadow, which looked exactly like the missing red my mind had conjured up, so I was tempted. But no, Bex suggested Kiko - I'd forgotten we even had a Kiko in Manchester. Oh, the shame. 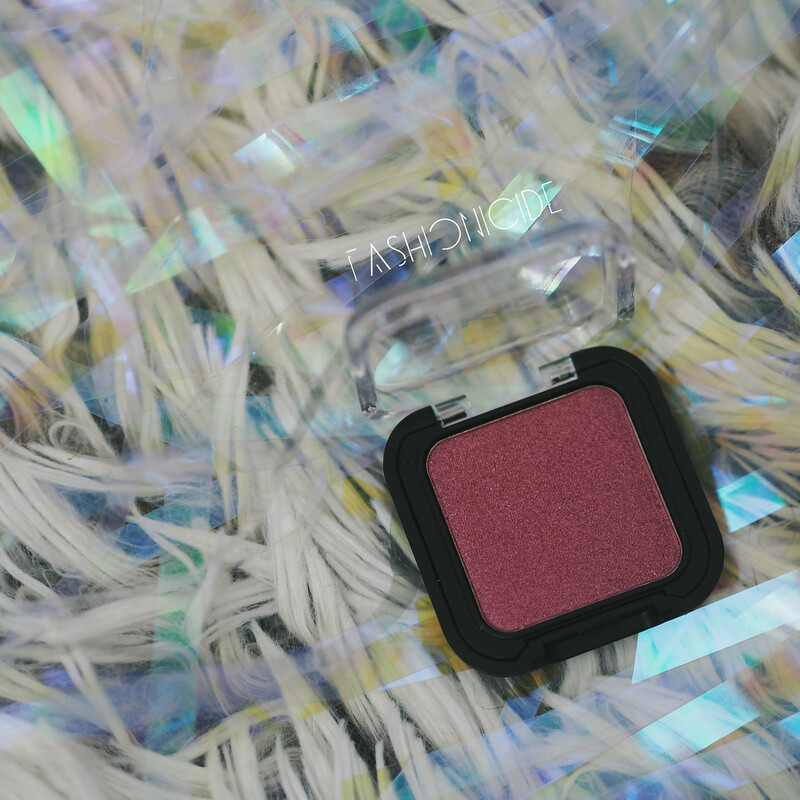 And so it was, that I picked up Kiko's Smart Colour Eyeshadow in 16 - a shadow Kiko themselves describe as a metallic orchid violet. I don't even know what that means, but it sounded... interesting. In the pan, the colour does appear burgundy with metallic tinges running through it, but when you swatch it, the intensity softens a bit and it looks a little diluted. But, because the deep burgundy has faded away a little, you do start to see those violet hues. I applied a layer of primer to the eyelids, before applying the eyeshadow. Surprisingly, it went on pretty well. 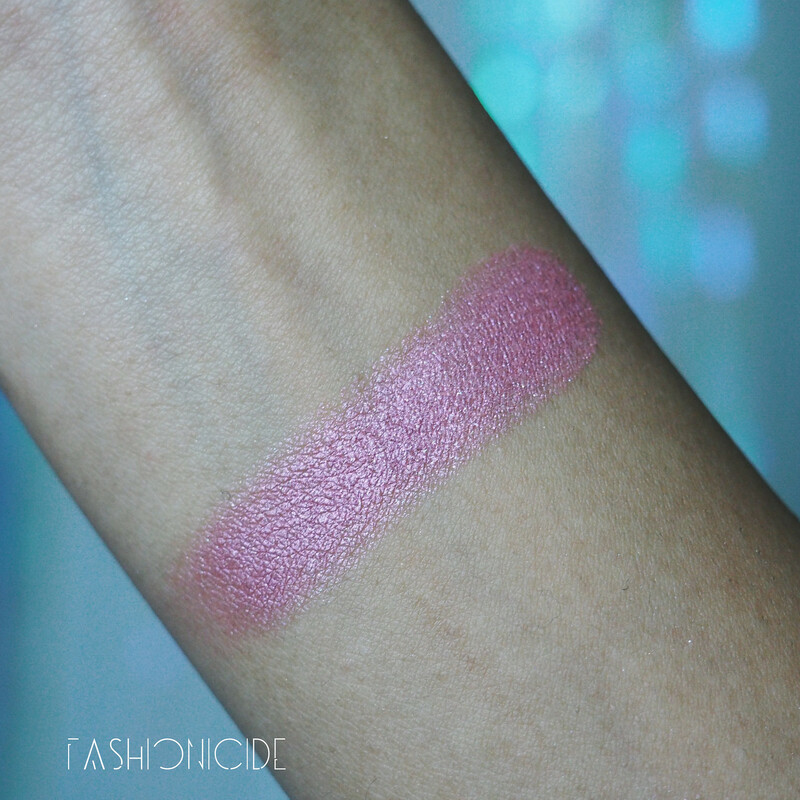 The colour was still a little faint, but much less so than the swatch. It works best if you start to build it up for that colour intensity, and it won't chalk up either, but expect fall out whilst applying. My tip would be to do your eye makeup first, sweep away any excess and then make a start on your foundation and concealer. WIN. This looks amazing, that wing is perfection! Wonderful post. This look is so beautiful! It just makes me swoon. This look is incredible! 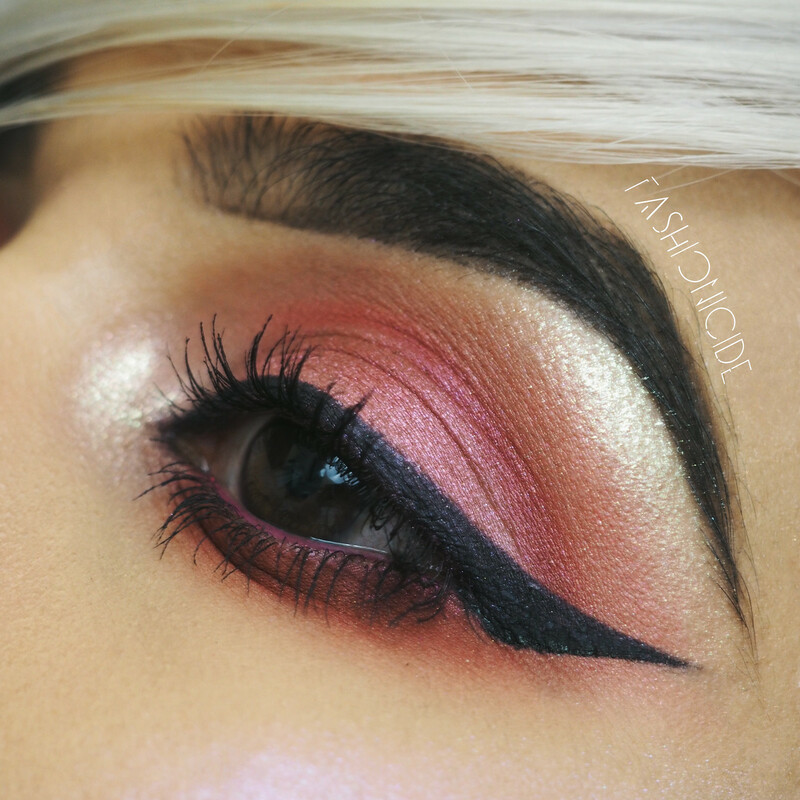 That wing on your liner is EVERYTHING! Would die to have your skills! Asylum is pretty amazing, I think you'll love it! ur eye makeup is beyond stunning! SO impressive (especially after you've built up the colour's intensity)! 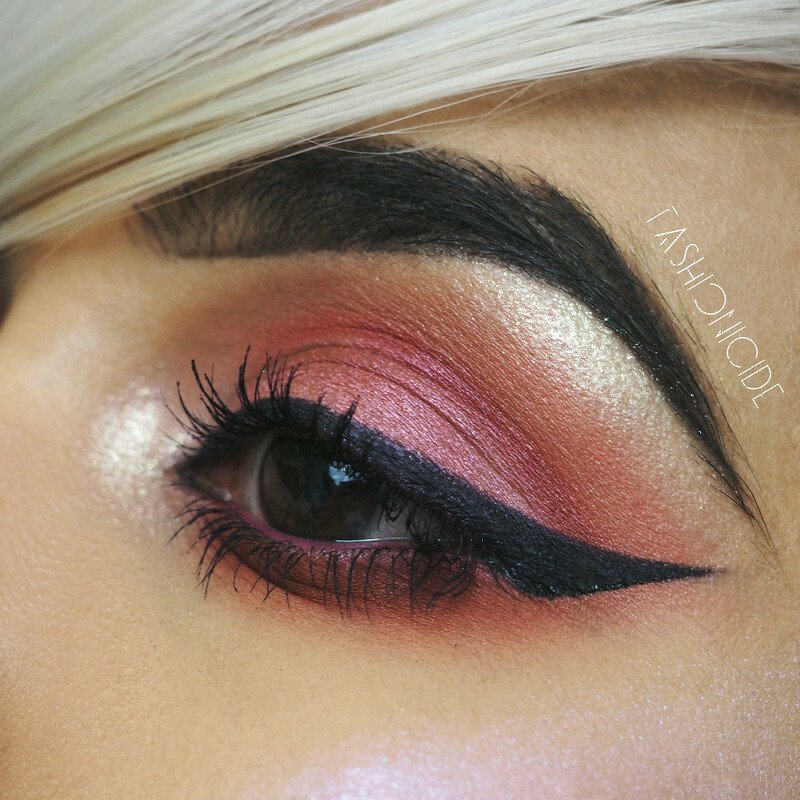 Seriously, you're one of the only bloggers I know who can do such crazy insanely gorgeous close-ups!! This beauty look not only makes me want to experiment with warmer eyeshadows, but also to seriously up my game when it comes to eyeliner haha. Perfect!